In this study, we analyze laminar flow for f-GNP nanofluid flow in different concentrations of solid nanoparticles. The computational domain of flow field and heat transfer is 3D, and for Re = 50, 100, 300, 700, a new rectangular microchannel design with cavity will be analyzed. The main objective of this study is determining the effect of boundary condition of inlet velocity for two structures in rectangular microchannel. Other goals of this study are investigating the effect of concentration of solid nanoparticles and Reynolds number on parameters including Nusselt number, friction factor and pressure drop and heat fluid performance evaluation criterion in different fluid and geometric parameters. 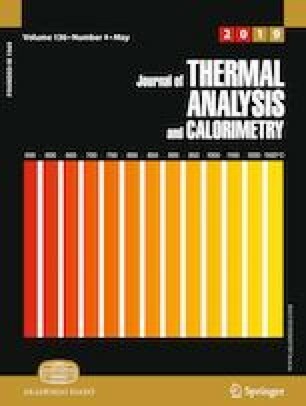 The results of this study show that changing the direction of fluid at inlet and exit section has an important effect on flow field and heat transfer. Also, by adding a component to fluid velocity at inlet and exit sections, the value of heat transfer and friction factor will be increased. Using microchannel design with dimple can also create a good mixing for fluid during motion. Due to the solid walls, the momentum depreciation is greater in case (1), and also this affects the core regions of the fluid flow. In the microchannel, because of changes in the velocity components in different directions during the entrance of flow in microchannel, the mixing of the fluid for different regions and the amount of heat absorption increase. The existence of cavities in the flow path causes secondary flow to increase the temperature of the fluid during movement. In the microchannel case (2), due to direct fluid movement path, the velocity gradients are reduced and this prevents better mixing of the fluid and the heat transfer. Therefore, the distribution of temperature between the fluids is reduced and the layers of fluid close to the microchannel floor will experience higher temperature in comparison with other regions.